Remember – not the mere recollection of a previous conversation but to understand with new and deepened insight the meaning of a past action and bringing its power and meaning into the present. It is in such creative and living "remembering" that the Church of the Resurrection is form. John’s Easter Gospel says nothing of earthquakes or angels. His account begins before daybreak. It was believed that the spirit of the deceased hovered around the tomb for three days after burial; Mary Magdalene was therefore following the Jewish custom of visiting the tomb during this three-day period. Discovering that the stone has been moved away, Mary Magdalene runs to tell Peter and the others. Peter and the “other disciple” race to get there and look inside. Note the different reactions of the three: Mary Magdalene fears that someone has “taken” Jesus' body; Peter does not know what to make of the news; but the “other” disciple – the model of faithful discernment in John's Gospel – immediately understands what has taken place. So great are the disciple's love and depth of faith that all of the strange remarks and dark references of Jesus now become clear to him. While the Easter mystery does not deny the reality of suffering and pain, it does proclaim reason for hope in the human condition. The empty tomb of Christ trumpets the ultimate Alleluia – that love, compassion, generosity, humility and selflessness will ultimately triumph over hatred, bigotry, prejudice, despair, greed and death. The Easter miracle enables us, even in the most difficult and desperate of times, to live our lives in hopeful certainty of the fulfillment of the resurrection at the end of our life's journey. The Risen Christ is present to us in the faithful witness of every good person who shares the good news of the empty tomb, who seeks to bring resurrection into this life of ours: to rise above life’s sufferings and pain to give love and life to others, to renew and re-create our relationships with others, to proclaim the Gospel of the empty tomb. In the first reading from the Acts of the Apostles, we listen to Peter as he witnesses to the Risen Lord; this Peter who in a moment of weakness swore he had nothing to do with the master, this Peter who instead of being a solid rock was in truth a pile of sand. The great proof of the resurrection was not the empty tomb but people like Peter, transformed into fearless witnesses of Jesus Christ. In today’s passage we hear Peter fearlessly proclaim that the same Jesus who suffered and died had risen from the dead. This was the mission of Peter and the disciples, to proclaim that Jesus was alive and this is our mission, to witness that Jesus is alive and that we have experienced Him in our lives and His power at work in our world today. What we have seen and heard and felt…. I have often heard of the Niagara Falls, the Grand Canyon and the Eiffel Tower. What I had was factual or academic knowledge. When I visited these places, and saw them for myself, I had crossed the line into experiential knowledge. Experiential knowledge is not something that can be taught. The only way I could share such knowledge with you is to bring you to share the experience. Quite a great deal of our religion has to deal with academic knowledge, where we learned catechism answers and memorized whole passages of the gospels. Bill Wilson was the founder of Alcoholic Anonymous, together with a man called Bob Smith. One day Bill was in the horrors, when he fell on his knees, and cried out “God, if you are there, please help me”! Suddenly the room was filled with a bright light, and Bill just sat there filled with awe. Eventually, as it were, the light entered his heart and soul and he came out of that room feeling totally changed, exclaiming, “Now I know the God of the preachers.” It is in that way that we can read John’s account of the resurrection. The Gospel tells us of the events of that first Easter morning. It was still dark so they cannot see that the tomb no longer contains the risen Lord. Mary goes to the tomb because she believes that it is all over. It is the same with many believers whose faith is sometimes shattered by the heavy burdens we carry and the moments of death we encounter. Though Christ has risen we still do not experience Him. ‘It is all over’ we think, but God has not finished with us yet! There are signs that this is not the end. Mary sees that the tomb is empty and she runs to Peter complaining, “they have taken away the body.” Peter and John rush and see the empty tomb and Peter enters the tomb and sees beyond, his faith tells him the master has risen. Then the other disciple entered, he saw and he believed. Every disciple of the Lord has to enter into the tomb, enter into the mystery of suffering and death and only then will the eyes of faith be opened to see and believe. At Easter we are celebrating not only the victory of Jesus over death but the hope that we too will be victorious, we too will conquer not because of our strength but in the power of the risen Lord. The challenge of Easter today is to understand human suffering in the light of Jesus’ resurrection. As it was the Father that raised Jesus to life, so we as Christians are called to play our part, to play God’s part in protesting against violence and injustices that are readily accepted as inevitable. As Christians we have to make our protest against death in the midst of life. Ultimately the resurrection reminds us that though we cannot rise, our God can and will help us to rise again and become witnesses of the resurrection when we stand for life for others in the midst of death. “There is no way a black person will ever ride in front of a bus in Birmingham. We’ll keep our customs no matter what anyone else says.” The Rev. Dr. Martin Luther King, Jr. persisted in his movement, 99 percent of the black people in Birmingham courageously stood their ground……and there was Resurrection! “Be reasonable. There is no way that a person without sight, hearing or speech could possibly communicate in any meaningful way. We can make her comfortable, but not much more than that.” But Helen Keller strained and wrestled with every detail of her existence, poured herself into every effort-filled day….and there was Resurrection! “With your illness, no use of your hands and arms, you will never be able to write or draw at all. I’m sorry but we have done all that we can do.” Ann Anders never gave up. She learned to take a pencil in her teeth, developed a great skill in sketching in this way, and became a professional artist……. and there was Resurrection! In the King James Version of the Bible, the invitation of the two travellers reads, “Abide with us; for it is towards evening and the day is far spent,” words which were the inspiration for that beloved hymn, “Abide with me, Fast falls the eventide.” The hymn was written by Henry Francis Lyte, for 25 years the vicar of the parish at Devonshire, England. He was 54 years old, broken in health and saddened by dissensions in his congregation. On Sunday, September 4, 1847 he preached his farewell sermon and went home to rest. After tea in the afternoon, he retired to his study. In an hour or two, he rejoined his family, holding in his hand the manuscript of his immortal hymn. Despite what most think, Lyte’s ‘eventide’ has nothing to do with the end of the natural day but rather the end of life. “Swift to its close ebbs out life’s little day, Earth’s joys grow dim, its glories pass away.” The words are about the faith that faces life and death fearlessly and triumphantly in the light of the cross and the empty tomb. Thus Lyte could conclude, “Heaven’s morning breaks, and earth’s vain shadows flee, In life, in death. O Lord, abide with me.” Vicar Lyte died three months later. Ernest Gordon wrote a book called ‘Through the Valley of the Kwai’. It documents the true story of what happened in a Japanese prison camp along the Kwai River during World War II. There 12,000 prisoners died of disease and brutality while building a railroad. Men were forced to work in the heat that reached 120 degrees. Bareheaded and barefooted, their only clothes were rags they wore and their only bed the bare ground. But their worst enemy was not the Japanese or their hard life; it was themselves. Gordon says that the fear of the Japanese made them paranoid. They stole from one another, they distrusted one another and they informed on one another. Then something incredible happened. Two prisoners organized the others into Bible study groups. Through their study of the Gospel, the prisoners gradually discovered that Jesus was in their midst as a living person. More than that, they came to discover that Jesus understood their situation. Everything about Jesus - what he was, what he said, what he did -began to make sense and come alive. The prisoners stopped thinking of themselves as victims of some cruel tragedy. Nowhere did their change of heart manifest itself more clearly than in their prayers. They began to pray not so much for themselves, but for one another. Slowly the camp went through a transformation that amazed not only the Japanese but also the prisoners themselves. One night, Gordon was hobbling back to his shack after a meeting with his study group. As he walked along in the darkness he heard the sound of men singing. Someone was keeping time with a stick on a piece of tin. The sound of the stick hitting the tin, and the sound of men singing, made the darkness come alive. The difference between that joyful sound and the deadly silence of the past months was the difference between life and death – the difference between death and resurrection. The story of the transformation that took place in that Japanese prison camp is what Easter is all about! A preacher was baptizing a man in a lake. He dunked the man’s head under the water for about fifteen seconds and pulled his head up. The preacher said: “Did you see Jesus?” “No. I didn’t see Jesus,” the man replied. The preacher dunked his head under the water for another thirty seconds and pulled him back up. “Did you see Jesus?” the preacher asked. Again the man said, “No, I didn’t see Jesus.” So the preacher dunked the man’s head back under the water for a third time, this time keeping him there for another forty-five seconds. This time as the minister pulled the man back for the third time he was gasping for a breath of air. The minister said, “Did you see Jesus?” The man blinked and thought for a moment and asked: “Are you sure this is where he fell?” -At the Easter vigil, the elect will be baptized, and all others who are already baptized will be renewing their baptismal promises. Today’s gospel does not present us with the risen Jesus. Instead it presents us with an empty tomb! Unfortunately, we humans are still looking for the living among the dead. We look for life among things that have no life in them. The message of Easter is that we can enter the grave and come out of it, because Jesus has arisen! Those who visit Seattle, Washington never miss Ye Olde Curiosity Shop. They have many oddities there. Would you believe that they actually have a pin with the Lord’s Prayer carved on the head of that pin? It is incredible, not impossible, just incredible. They have a piece of hair with the name “Ripley” written on it. The Guinness Book of World Records mentions a little four-year old boy in Korea who spoke four languages: Korean, Japanese, Chinese, and English. There are many things that seem to be impossible but they are only incredible. Did you know that Mrs. Vasalay in Russia gave birth to 69 children? That’s incredible! Did you know that there was a healthy baby born in Turkey that weighed 24 pounds? That is painfully incredible! Did you know that there was man who grew a moustache that was a 102 inches long? That is incredible! One gymnast from the Cirque De Sole climbed up a rope sideways with his arms and his body perfectly perpendicular 90 degrees to that rope. There was a woman juggler with hands so fast you couldn’t even see the speed of the nine balls or knives. There are many things in life that are absolutely and wonderfully incredible, but they are not impossible. It was Jesus who said: “With God, all things are possible!” The women came to the tomb and noticed that the big stone had been rolled away. They wondered what had happened. They looked inside, and incredibly, a young man was sitting there and he was dressed in white. He said to them, “Jesus is not here. He has been raised from the dead by the Power of God.” “Incredible, absolutely incredible!” they thought. Today we celebrate this incredible fact of Jesus’ bodily resurrection from the dead. The Spanish conquistadors were exotic explorers of the 1500s. These Spanish sailors were brave, daring men of adventure, searching for gold and silver, jasper and emeralds, braving the insecurities of their little bobbing boats in the seismic swells of ocean waves, not knowing what was out there before them in the uncharted seas of a strange new world. These Spanish conquistadors were adventurous people like Hernando de Soto, Francisco Coronado, and Ponce de Leon. It was in 1513 that Ponce de Leon began his search for the legendary El Dorado, a land where gold nuggets were as plentiful as the pebbles found on ocean beaches. Near that legendary El Dorado was the one thing that everybody was looking for. It was more valuable than gold and silver, more valuable than precious jewels. All of his life, Ponce de Leon and everybody else had wanted to find it. He was looking for the legendary “fountain of youth.” He had sailed half way across the world, wanting to taste the waters from that fountain of immortality. He wanted to drink from those waters and be eternally young, eternally vibrant, and eternally energetic. He wanted to drink from those waters of eternal youth and never grow old and die. He searched and searched and, like every person who wanted to find the legendary El Dorado on this side of the grave, he did not find it. But the Risen Jesus is our guarantee that we will have a real fountain of youth when we begin our life after death with him sharing in his heavenly glory. The late Catholic Archbishop of Hartford, John Whealon, who had undergone cancer surgery resulting in a permanent colostomy, wrote these very personal words in one of his last Easter messages: "I am now a member of an association of people who have been wounded by cancer. That association has as its symbol the phoenix bird of Egyptian mythology. When the bird felt its death was near, every 500 to 1,461 years, it would fly off to Phoenicia, build a nest of aromatic wood and set itself on fire. When the bird was consumed by the flames, a new phoenix sprang forth from the ashes. Thus the phoenix bird symbolizes immortality, resurrection, and life after death. It was one of the earliest symbols of the risen Christ. In the same way, any person who has survived a struggle with cancer is considered phoenix-like, having risen from the ashes of disease and been given a new lease on life. Suddenly life becomes more precious to that person. Each hour is lived more fully. Each friend seems much more real. The sky seems more blue, the sunshine more beautiful, and the colors more vivid. Even dull and ordinary things are causes for gratitude to God.” Archbishop John Whealon could have lived in a gloomy tomb of self-pity, hopeless defeat, and chronic sadness, but his faith in the resurrected Lord opened his eyes to new visions of life. 5 . Rented for a week end: Joseph of Arimathea was a very wealthy Pharisee, a member of the council, and a secret follower of Jesus. It was Joseph who went to Pilate and asked for Jesus’ body after the crucifixion. And it was Joseph who supplied the tomb for Jesus’ burial. I wonder if someone pulled him aside and said, "Joseph that was such beautiful, costly, hand-hewn tomb. Why on earth did you give it to someone to be buried in?" "Why not?" Joseph might have answered. “He only needed it for the weekend." 6. Happy Easter, Church. Christ Is Risen. He Is Risen Indeed. I can still recall a geography lesson from elementary school in which we learned that the southernmost point of Africa is a point which for centuries has experienced tremendous storms. For many years no one even knew what lay beyond that cape, for no ship attempting to round that point had ever returned to tell the tale. Among the ancients it was known as the "Cape of Storms," and for good reason. But then a Portuguese explorer in the sixteenth century, Vasco De Gama, successfully sailed around that very point and found beyond the wild raging storms, a great calm sea, and beyond that, the shores of India. The name of that cape was changed from the Cape of Storms to the Cape of Good Hope. 13. Billy Graham responded to someone who shouted out "God is dead! God is dead!" Dr. Graham with tenderness replied, "That's strange because I just talked to Him in prayer a few minutes ago." Yes, the day you believe in the resurrection is the day you change the universe, and most importantly, you can reflect that transforming truth. # 2: The greatest comeback in history: In its November 12, 2001 issue, Sports Illustrated ranked the 10 greatest comebacks in world history. Among those making the list, the following names are to be specially noted. a) Michael Jordan, 1995. Quits basketball, only to make his first triumphant comeback. b) Muhammad Ali, 1974. Seven years after being stripped of his title and his boxing license, defeats George Foreman in Zaire to win back the belt. c) Japan and Germany, 1950s. They were the former Axis Powers which rose from the ashes of World War II to become industrial superpowers. d) Jesus Christ, 33 A.D. Defies Jewish critics and stuns the Romans with his Resurrection. It was the greatest comeback of all time. And He’s been specializing in comebacks ever since. # 3: The phoenix: The late Catholic Archbishop of Hartford, John Whealon, had undergone cancer surgery resulting in a permanent colostomy when he wrote these very personal words in one of his last Easter messages: “I am now a member of an association of people who have been wounded by cancer. That association has as its symbol the phoenix, a bird of Egyptian mythology. The Greek poet Hesiod, who lived eight centuries before Jesus was born, wrote about this legendary bird in his poetry. When the bird felt its death was near (every 500 to 1,461 years), it would fly off to Phoenicia, build a nest of aromatic wood and set itself on fire. When the bird was consumed by the flames, a new phoenix sprang forth from the ashes. Thus, the phoenix symbolizes immortality, resurrection, and life after death. It sums up the Easter message perfectly. Jesus gave up His life, and from the grave He was raised to life again on the third day. New life rises from the ashes of death. 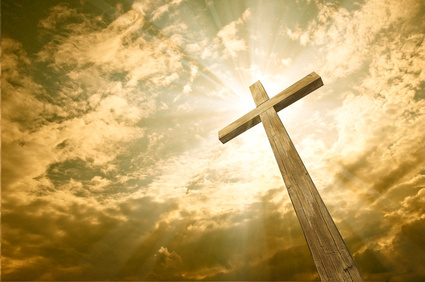 Today we are celebrating Christ’s victory over the grave, the gift of eternal life for all who believe in Jesus. That is why the phoenix bird, one of the earliest symbols of the Risen Christ, also symbolizes our daily rising to new life. 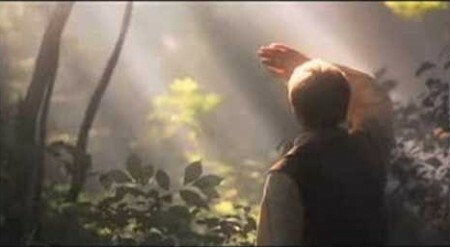 Every day, like the phoenix, we rise from the ashes of sin and guilt and are refreshed and renewed by our living Lord and Savior with His forgiveness and the assurance that He still loves us and will continue to give us the strength we need.” Archbishop John Whealon could have lived in a gloomy tomb of self-pity, hopeless defeat, and chronic sadness, but his faith in the Risen Lord opened his eyes to new visions of life. # 4: “He is risen indeed!”: You probably do not remember the name Nikolai Ivanovich Bukharin. Many years ago, he was one of the most powerful men on earth. A Russian Communist leader, he took part in the Bolshevik Revolution of 1917. He was the editor of the Soviet newspaper Pravda and was a full member of the Politburo. His works on economics and political science are still read today. There is a story told about a journey he took from Moscow to Kiev in 1930 to address a huge assembly of Communists. The subject was atheism. Addressing the crowd, he attacked Christianity, hurling insults and arguments against it. When he had finished, he looked out at the audience. “Are there any questions?” he demanded. Deafening silence filled the auditorium. Then one man stood up, approached the platform and mounted the lectern. After surveying the crowd, he shouted the ancient greeting of the Russian Orthodox Church: “CHRIST IS RISEN!” The crowd stood up and shouted in a thundering voice: “HE IS RISEN INDEED!” Amazed and dejected, Bukharin left the stage in silence. Finally, he had learned the lesson that Faith in Christ’s Resurrection was deeply rooted in his Russian Orthodox Communist followers! 3) “See what happens.” One lady wrote in to a question-and-answer forum. “Dear Sirs, our preacher said on Easter, that Jesus just swooned on the cross and that the disciples nursed Him back to health. What do you think? Sincerely, Bewildered. Dear Bewildered, beat your preacher with a cat-of-nine-tails, nail him to a cross; hang him in the sun for 6 hours; run a spear through his side…put him in an airless tomb for 36 hours and see what happens.” Sincerely, Charles. # 3: Empty Tomb: Easter celebrations lead us to an empty tomb! The coffin of President Abraham Lincoln has been opened twice since his death. The first time it was opened in 1887, twenty years after his death. Why was it opened? Because of the rumour that the coffin did not contain Lincoln’s body. It was opened and the body in it was proven to be Lincoln’s. Fourteen years later, the same rumors circulated again. Again, the coffin was opened, and again, the body was proved to be Abraham Lincoln’s. Similar rumors circulated about the body of Jesus after his death. The only difference was that Jesus’ body was not in the tomb. Today’s Gospel does not present us with the risen Christ. Instead it presents us with the empty tomb! The angel asks: “Why are you looking for the living among the dead?” Unfortunately, we humans are still looking for the living among the dead. (John Pichappilly in The Table of the Word; quoted by Fr. Botelho). 6) Cape of Good Hope: You may remember a geography lesson from elementary school in which you learned that the southernmost point of Africa is a point which for centuries has experienced tremendous storms. For many years no one knew what lay beyond that cape, for no ship attempting to round that point had ever returned to tell the tale. Among the ancients it was known as the “Cape of Storms,” and for good reason. But in 1497 a Portuguese explorer, Vasco Da Gama, successfully sailed East around that very point and found beyond the wild raging storms, a great calm sea, and beyond that, the shores of India. The name of that cape was changed from the Cape of Storms to the Cape of Good Hope. Until Jesus Christ rose from the dead, death had been the “cape of storms” on which all hopes of life beyond had been wrecked. No one knew what lay beyond that point until, on Easter morning, Jesus arose. The ancient visions of Isaiah became the victory of Jesus over our last great enemy. Like those sixteenth century explorers, we can see beyond human death to the hope of Heaven and eternal life with the Father. More than that, we dare to believe that we shall experience in our own human lives exactly what the Son of God experienced in His, for the Risen Christ says to us, “Because I live, you shall live also.” This is the heart of our Faith. 8) He always whistled: Have you heard the story of the man whose hobby was growing roses? When he worked in his rose garden, he always whistled. It seemed to everyone that he was whistling much louder than was needed for his own enjoyment. One day a neighbor asked him why it was that he always whistled so loudly. The man then took the neighbor into his home to meet his wife. The woman was not only an invalid but was completely blind as well. The man, you see, was whistling, not for his benefit, but rather for the benefit of his wife. He wanted his blind wife to know that he was nearby, and that she was not alone. That story is a wonderful illustration of the significance of Easter Day. The affirmation, “Christ is risen!” reminds us that God is near, and the experiencing of His presence strengthens us in our weakness. (Donald William Dotterer, Living the Easter Faith,). 9) And so the Iron Lady wept. In 1984, when Margaret Thatcher was Prime Minister of Britain, a terrorist’s bomb exploded in the conference room where many of the government meetings were held. Margaret Thatcher survived this blast, but some of her cabinet members were killed. The following Sunday, Margaret Thatcher went to Church as she always did. But that particular Sunday seemed different. As Margaret Thatcher sang the hymns, listened to the message, saw the candles upon the altar and the sunshine streaming through the stained-glass windows, she began to weep. She wept because everything around her had been changed by the loss of her friends. The familiar had now become strange. The goodness and beauty of the world around her seemed almost too much to bear. She knew she would not only miss her friends, but also the wonderful times they had had together. And so the Iron Lady wept. If we can relate to Maggie Thatcher’s grief, maybe we can relate to the grief of Jesus’ disciples and friends on that first Easter morning. 10) “I want to see your Resurrection!” Father Basil Pennington, a Catholic monk, tells of an encounter he once had with a teacher of Zen. Pennington was at a retreat. As part of the retreat, each person met privately with this Zen teacher. Pennington says that at his meeting the Zen teacher sat there before him smiling from ear to ear and rocking gleefully back and forth. Finally, the teacher said: “I like Christianity. But I would not like Christianity without the Resurrection. I want to see your Resurrection!” Pennington notes that, “With his directness, the teacher was saying what everyone else implicitly says to Christians: ‘You are a Christian. You are risen with Christ. Show me (what this means for you in your life) and I will believe.’ (http://www.stjohnslaverne.org/SermonReadingArchive/OmernickEasterSundaySermon2006.rtf.) Marilyn Omernick.] That is how people know if the Resurrection is true or not. Does it affect how we live? 13) Easter: surprising or amazing? There is an old story about Noah Webster, who wrote the famous dictionary that bears his name. As you can imagine, he was a stickler for the precise use of language. He was also something of a womanizer. One day he was in the pantry kissing the maid when Mrs. Webster walked in on them. Mrs. Webster said, “Why, Noah, I’m surprised.” Noah said, “No, my dear. We’re surprised. You’re amazed.” (Mark Trotter, “Do You Amaze Anybody?”, May 22, 1988). I think the story is apocryphal. I’m sure Mr. Webster was a stickler for the right word, but when you look in his own Webster’s Dictionary, he says surprise is a synonym for amaze. Amaze is the stronger word. Easter is both surprising and amazing. Here is God’s ultimate act of love and power. It is an act of love that has gone to its limit in Jesus’ gift of Himself on the cross. It is an act of power that bursts the tomb and announces to the world that Love is stronger than hate, Good prevails over evil, and Life is triumphant over death. 14)“Suppose he isn't in there!” Two famous Broadway producers were pallbearers at the funeral of the great escape artist, Harry Houdini. As they lifted the beautiful and heavy casket to their shoulders, one of them turned and whispered to the other, “Suppose he isn’t in there!” He was, of course. Only one man in human history has conquered the grave, and it is He Whom we call Lord. “Christ has been raised from the dead,” writes St. Paul, “the first fruits of those who have fallen asleep” (I Corinthians 15:20). What deliriously good news that is! No wonder our Church is full on Easter Sunday! That is news that turns the world upside down. Jesus Christ is risen! 18) He is no longer in the grave: In 1887, twenty-two years after the assassination of President Abraham Lincoln, his coffin was dug up and opened because there were constant rumors that his body was not in the grave. So they dug it up and the body was there. The rumors continued so 14 years later they had to dig it up again. Both times witnesses were present who testified that Lincoln was still in the grave. Three days after the death of Jesus Christ, similar rumors began to spread throughout the land of Israel. Only this time there were no witnesses who could say that they had seen His body. In fact, to the contrary, many witnesses claimed to have seen him out of His grave and even talked with Him after the Resurrection. As great a man as Lincoln was, there were witnesses to prove he was still in the grave. If one of our Presidents or another leader in our government were to cry out today to Lincoln for help, there would be no response. If a scientist were to cry out to Einstein for help today there would only be empty silence. If someone were to call out to Mohammed or Buddha or Gandhi today there would be no help. But if you and I call out to Jesus Christ there is instant power available to us… power to change lives …why? Because He lives! (Rev. David Henderson). 19) The parable of the butterfly: As a butterfly soared overhead, one caterpillar said to the other, “You’ll never get me up in one of those things!” Yet for every caterpillar the time comes when the urge to eat and grow subsides and he instinctively begins to form a chrysalis around himself. The chrysalis hardens and you’d think for all the world that the caterpillar was dead. But one spring morning the life inside the chrysalis will begin to writhe, the top will crack open, and a beautifully-formed butterfly will emerge. For hours it will stand stretching and drying its wings, moving them slowly up and down, up and down. And then, before you know it, the butterfly will glide aloft, effortlessly riding the currents of the air, alighting on flower after gorgeous flower, as if to show off its vivid colors to the bright blossoms. Somehow, the miracle of the butterfly never loses its fascination for us. Perhaps that is because the butterfly is a living parable of the promise of Resurrection. On Easter morning, the disciples saw Jesus’ grave-clothes lying on the cold slab — empty, but still lying in the wrapped folds that had gone round and round the corpse. Only the corpse was gone, leaving the grave-clothes much like an empty chrysalis deserted by a butterfly, which has left to soar free. “He is risen as He said,” an angel told the incredulous disciples. 22) “Is there hope?” On December 17, 1927, a Navy Submarine, USS S-4, off Provincetown, MA, was accidentally rammed by a US Coast Guard cutter as the sub was surfacing, following a “series submerged runs over a measured mile course to facilitate calibration of her of speed- and distance measuring equipments.” The cutter had tried unsuccessfully to avoid the collision but tore two holes in the side of the sub, “one four feet long and two feet high in the ruptured ballast tank and the other 2-and-a-half feet long by a foot high in the battery compartment pressure hull.” The sub sank, bow first and settled on her keel in 102 feet on mud. There were heavy seas, gale winds and freezing temperatures. Portsmouth Navy yard called in naval and civilian personnel to begin salvage on the sub. They readied the USS Bushnell, a tender, which arrive the next morning, joining other rescue ships, some of them local fishing boats. Captain Ernest J. King took command. (Robert Loys Sminkey, Commander USN Retired) http://www.subvetpaul.com/USS-S-4.htm. With him was Signalman Joe Dawson who had just completed a temporary assignment on the S-4 (and was replaced there by his best friend, Walter Tolson). Dawson had come from the USS Camden where he had been preparing for his Christmas leave. In 1997, at 90, as the last survivor of the USS-S-4, Dawson related the story of the rescue attempt:The first diver to go down, Commander Ellsberg, returned, reporting the hole and “no sign of life.” The next morning “divers Edie and Carr heard tappings in the forward torpedo room. They found out there were six men living. Their message to Edi and Carr was, ‘Is there hope? Please hurry, please!’” “The divers were then ordered to connect oxygen hoses to the S-4. Three or four time the sea tore the hoses from the S-4, endangering the lives of the divers. They decided to wait until the weather subsided. The men could only live 72 hours without the oxygen we were trying to get to them. The last message sent by the submariners was hard to decipher. It said, ‘We understand’… and that was the last we heard from them.” (ibid., Dawson letter). This is the picture of our dilemma as we worship on this glad Easter Day. Humankind is trapped in a dreadful situation. All around we are running low on hope, and we look for a word from beyond offering it to us. This world in which we live is plagued with war and famine, mounting debt and continual destruction. The more we try to rescue ourselves the more we seem to fall behind. We wonder. (Rev. Bill Self). With the Apostles, we are locked securely in our upper room, trembling in fear of the forces of evil – secularism, materialism, atheism, selfishness — which assail us and our world. With the submariners we ask, “Is there hope? Please hurry, please. “And we are answered. Here He stands, in our midst though the room is still locked. He says, “Peace be with you!” showing us His wounded hands and side, and letting us rejoice that it is truly He, Alive! Then He says to us again, “Peace be with you! As the Father has sent Me, so I send you.” Then we understand that He is our hope, now and forever. Alleluia! HE IS RISEN! 23) Unfinished Till Broken: A story is told of an Eastern village that, through the centuries, was known for its exquisite pottery. Especially striking were its urns; high as tables, wide as chairs, they were admired around the globe for their strong form and delicate beauty. Legend has it that when each urn was apparently finished, there was one final step. The artist broke it – and then put it back together with gold filigree. An ordinary urn was then transformed into a priceless work of art. What seemed finished wasn’t, until it was broken. In the same way, Jesus allowed his body to be broken for us and thus attained the glory of his Resurrections. (Steve Goodier; quoted by(Fr. Botelho). 24) Lord of Life: Dr. Jayant Patel, an Indo-American was dubbed ‘doctor of death’ because he faced charges of manslaughter in over 800 cases in the USA and Australia. Dr. Patel allegedly lied about his medical qualifications and performed operations causing innumerable deaths. Similarly, Dr. Amit Kumar performed illegal kidney operations on about 500 poor unsuspecting victims and sold their kidneys to rich recipients from the West. History abounds with such ‘doctors of death’ besides leaders like Hitler and the so-called ‘butcher of the Balkans’ Slobodan Milosevic. Besides these killers, we too consciously or unconsciously – promote death rather than life. Conversely, Easter exhorts everyone to celebrate the Lord of Life and defy death. (Francis Gonsalves in Sunday Seeds for Daily Deeds; quoted by Fr. Botelho). 25) Do Not Be Amazed: The Fourth Wise Man is a movie made for television and based on Henry Van Dyke’s 1895 classic. It begins like a Christmas story but ends as an Easter story. Martin Sheen stars as the fourth wise man, Artaban, who was late for the journey the three wise men made to Bethlehem because he stopped along the way to help someone in trouble. For the next 33 years, he tried to find the promised Messiah, only to miss him at every turn because he was constantly getting sidetracked to help people. In his last efforts to find Jesus, Artaban arrived late one more time at the crucifixion. Jesus has just died on the cross. At that moment the earthquake occurs and Artaban is struck by a falling tile. As he lies there dying, he is broken-hearted because his quest to find the Messiah was never realized. Suddenly, the Risen Lord appears to him. Jesus tells him that for the past 33 years he had, in fact, been found by the fourth wise man in the person of all the people this wise man had helped. Whatever Artaban had done to the least of the Lord’s people, that he had done to Jesus himself. This Easter story is retold in another form in today’s Gospel. Instead of three wise men seeking the Lord, with the fourth wise man coming along late, we have three women coming to the tomb, seeking the Lord who has been crucified. (Albert Cylwicki in His Word Resounds; quoted by Fr. Botelho).